For a honeymoon bursting with culture, enjoy a break in the stunning city of Marrakech, says Claire Muffett-Reece. As the plane doors opened and I stepped on to North African soil, the first thing that hit me was, of course, the heat. Arriving in early June it was already nearing 30°C by nine o'clock in the morning, meaning I was looking forward to an afternoon lazing by the pool – a must for any honeymooners frazzled from the last few months of hectic wedding plans. While the city of Marrakech is an essential destination for anyone keen to experience Morocco, it's busy to say the least, leaving many visitors eager to escape the hustle and bustle for something altogether more tranquil. That's where Le Palais Paysan comes in, a luxury boutique resort nestled in a seven-hectare estate just 30 minutes' drive away. 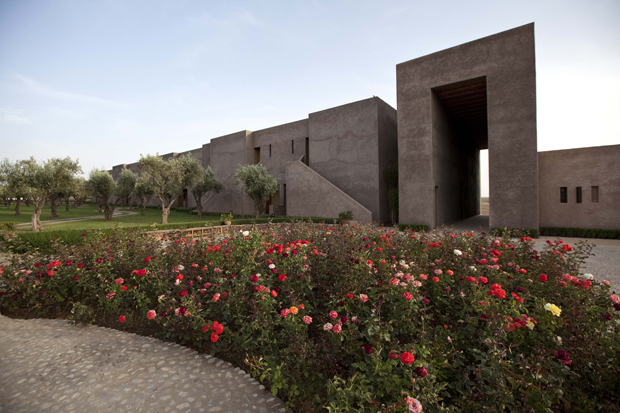 Ideal for newlyweds looking for the best of both worlds, it offers tranquil five-star escapism – and all found close to a traditional Berber village where the majority of its 32 employees and their families live. 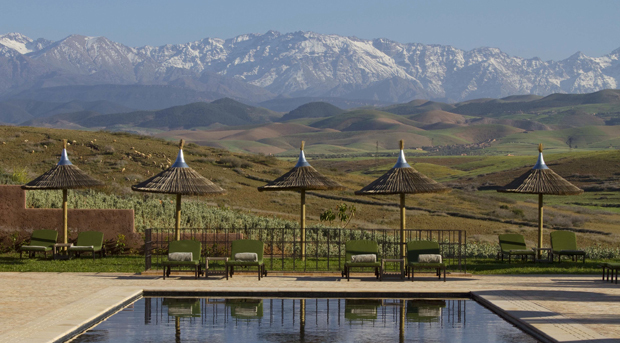 The views surrounding Le Palais Paysan are breathtaking – picture nothing but panoramic countryside with the snowtopped Atlas Mountains in the distance. The hotel and its 18 guest rooms have also been designed using locally-sourced materials and are a perfect blend of traditional and modern architecture, with king-sized beds and walk-in showers as standard. Keen to wander around the grounds, after checking in and enjoying a delicious (but very sweet!) mint tea I set off to explore. The hotel grows a lot of its own produce and I encountered olive and lemon trees, grapes and a huge variety of herbs on my travels, before eventually ending up at the stunning 30-metre pool – with a large G&T followed by a small doze, of course. There's a hot tub, too – perfect to enjoy with a glass of something chilled – and a spa offering a host of luxury treatments. I'd recommend the traditional Hammam experience, while the full body massage is so relaxing it's hard not to fall asleep and snore, which is exactly what I did. Content from my spa experience, I then enjoyed a delicious three-course dinner of sea bass with saffron clams and prawns, braised duck with garlic butter and a poached pear with cardamom and vanilla, before taking my rather full belly off to bed for the night. After a hearty breakfast of freshly squeezed orange juice, pastries, omelettes made to order and coffee so strong I was buzzing for the rest of the day, it was time to explore. The hotel offers a number of excursions to cater for honeymooners, from quad bikes and camel rides to rounds of golf and horse riding – however, I couldn't visit Morocco without seeing the busy souks (traditional market place) of Marrakech itself. The hotel kindly arranged a tour for me – and I'm so glad they did, as without a guide I'd have been lost in the maze of small, winding streets. 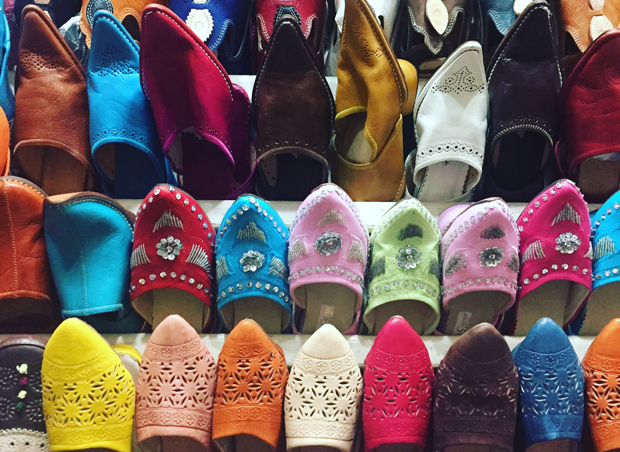 I was soon laden with delicious spices, argan oil, leather bags and colourful sandals, having remembered to barter the initial prices down and nab myself a bargain or two in the process. After all that walking around I was pretty peckish, so it was back to the hotel to enjoy a cookery class that was also included on Le Palais Paysan's list of activities. 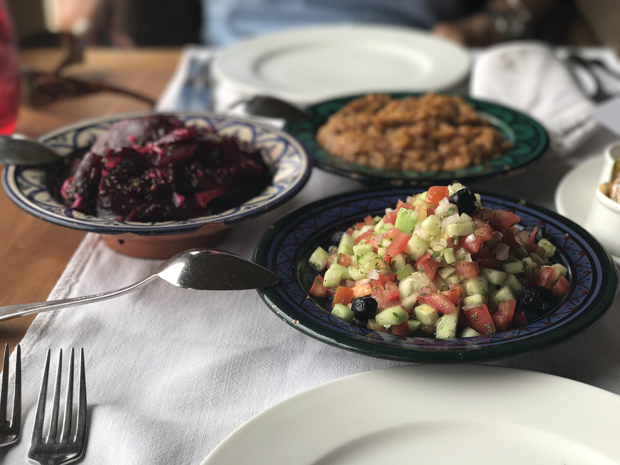 The staple food of many Moroccans is a slow-cooked savoury stew known as the tagine, and chef Hafid was keen to show us the most authentic way to make it, with a delicate blend of dried ginger, turmeric, cumin, salt, pepper, olives and pickled lemons key to the overall dish. I also thoroughly enjoyed making a refreshing tomato and cucumber salad and roast pumpkin dip, all of which were devoured over lunch alongside a few glasses of ice cold wine and bread fresh from the oven. My final highlight on this Moroccan adventure wasn't watching the snake charmers perform at Marrakech's Jemaa el-Fnaa main square, which comes alive with thousands of people at night. In fact it was visiting a local school in the hotel's neighbouring village – built and funded for entirely by the owners of Le Palais Paysan. 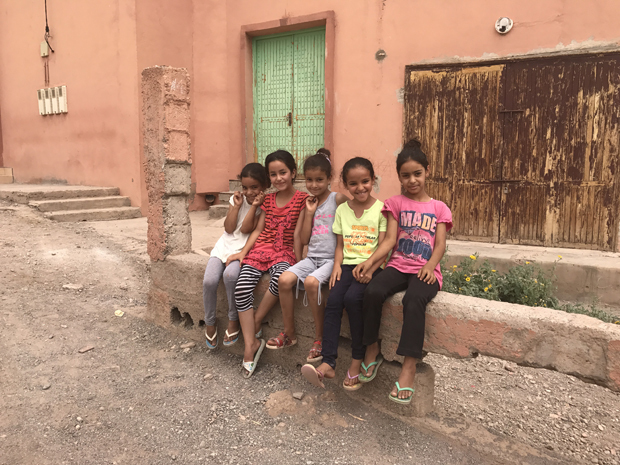 Now in its eighth year, I witnessed the class of adorable four and five-year-olds reciting the Arabic alphabet and learned how the hotel even contributes towards transport to take the older children to another school a few kilometres away. 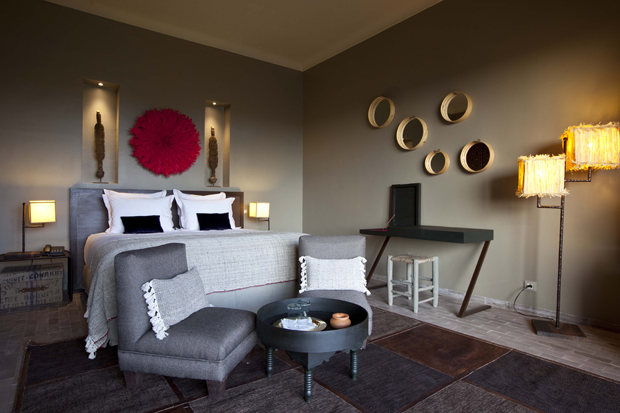 It's this kind of personalisation and warmth you can struggle to find in some larger resorts – but one you'll find in bundles upon visiting Morocco and the charming hotel that is Le Palais Paysan. 1. Moroccan law prohibits the sale of alcohol in view of a mosque, meaning you'll struggle to order a tipple in the medina (old town). For that head to the more Westernised Guéliz (new town), which features bars, restaurants and more. 2. Remember to show your respect for Morocco's Muslim religion by dressing appropriately. Ideally women's shoulders and legs should be kept covered at all times, choosing loose fitting cotton clothing to keep cool in the searing temperature. 4. You'll need Moroccan Dirham on your honeymoon – however, as a 'closed currency' you can only bring in (and take out) up to 1000DH per person. For this reason most holidaymakers wait and purchase their currency upon arrival at Marrakech airport. 5. Street food is another must in Marrakech's old town – just prepare yourself in advance for the intense crowds! Once you've found a stall you like grab a seat and get stuck in to delicious fresh fish, grilled meats and bread with a fiery tomato dip. Visit www.lepalaispaysan.com to find out more.